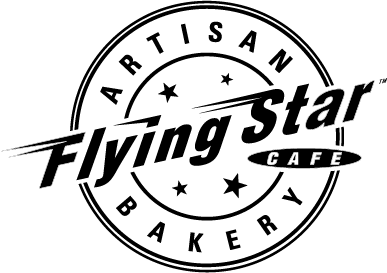 It's this month's First Thursday at Flying Star! Come in today for $3.50 slices of all your favorite cakes and pies! 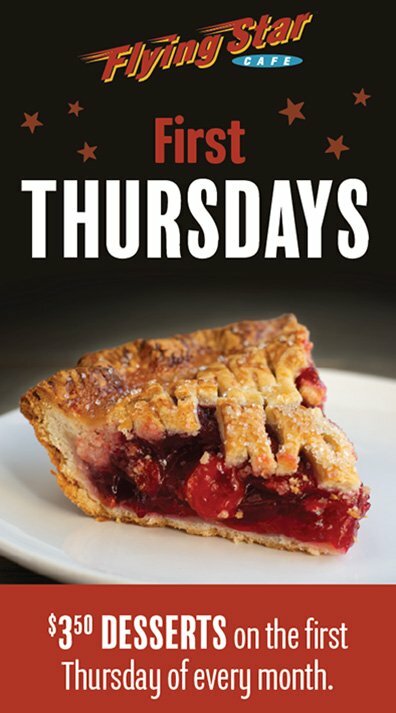 It’s this month’s First Thursday at Flying Star! Come in today for $3.50 slices of all your favorite cakes and pies! Throughout the Lenten season, join us on Friday each week, March 8th through April 19th for #FishFridays! 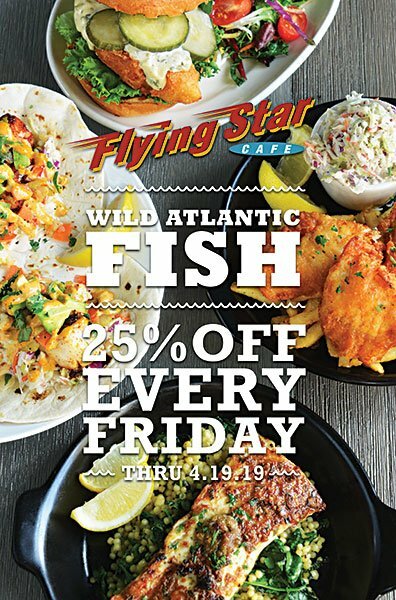 Enjoy our Fish Sandwich, Fish Tacos, Fish Dish, or Fish & Chips at 25% off. Friday April 12th is Grilled Cheese Day, but one day just isn’t enough so we’re hosting Grilled Cheese Weekend. 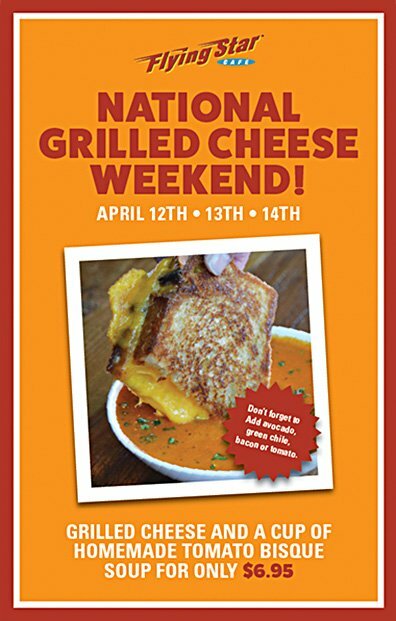 From April 12-14, you get our award winning Grilled Cheese Sandwiche plus a cup of our famous Tomato Bisque soup for just $6.95! 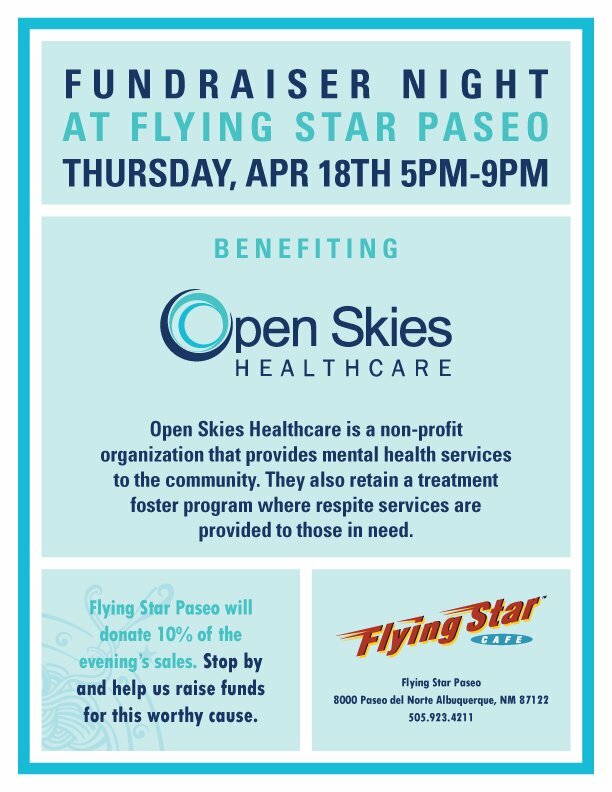 Join us at our Paseo location in support of Open Skies Healthcare! 10% of all proceeds will be donated. 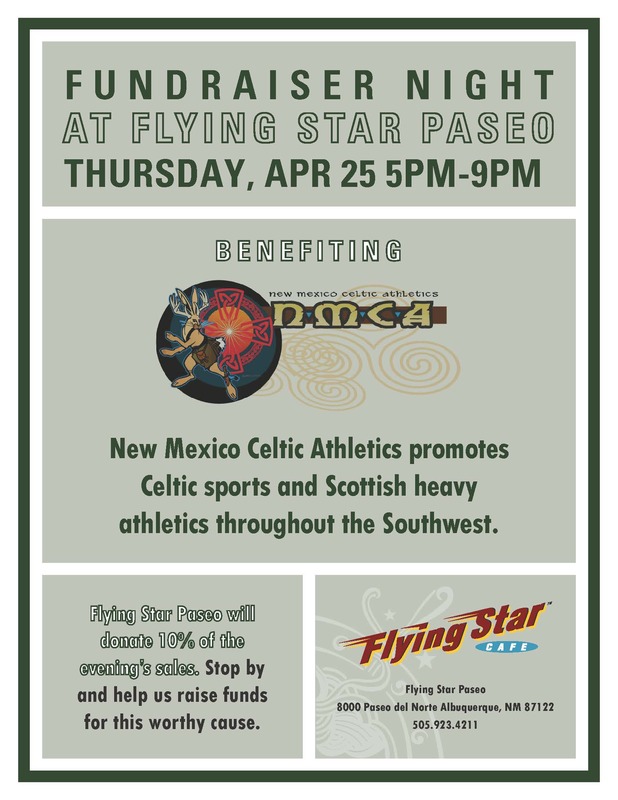 Please join us in support of NM Celtic Athletics on April 25th from 5-9 PM at our Paseo location. 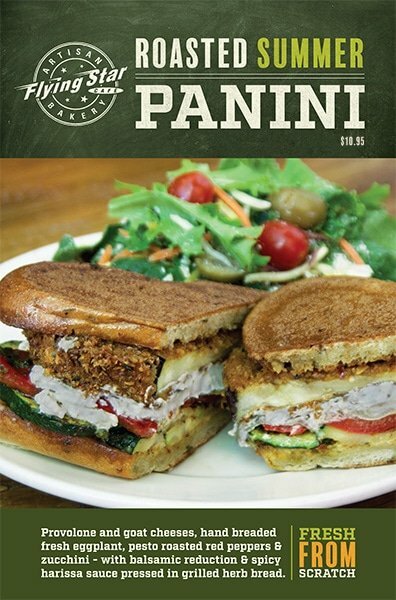 10% of our proceeds will be donated to their program!